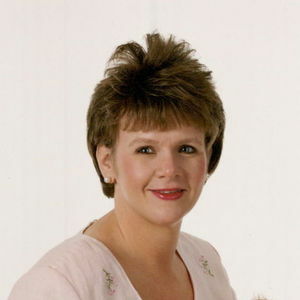 Laura Beth Bowen Allbright, age 54, of Bladenboro passed away peacefully at home surrounded by her family Thursday, October 4, 2018. She was preceded in death by her father: Horace Bowen. Laura leaves behind her mother: Betty P. Bowen of Bladenboro; her loving husband: Donald Allbright and daughter Elizabeth Allbright of the home; two brothers: Joey Bowen and wife Donna of Bladenboro, Ricky Bowen also of Bladenboro; and one sister: Donna Bowen Crutchfield and husband Tom of Greenville, NC. The family will receive friends from 3-5 pm on Sunday, October 7, 2018 at Bladen Gaskins Funeral Home in Elizabethtown. A funeral service will be held at 10:00 am on Monday, October 8, 2018 at First Baptist Church in Bladenboro with Rev. Howard Allbright and Rev. Bradley Butler officiating. Burial will follow the services in the Pine Crest Cemetery in Bladenboro. Add your thoughts, prayers or a condolence to Laura Beth's guestbook.